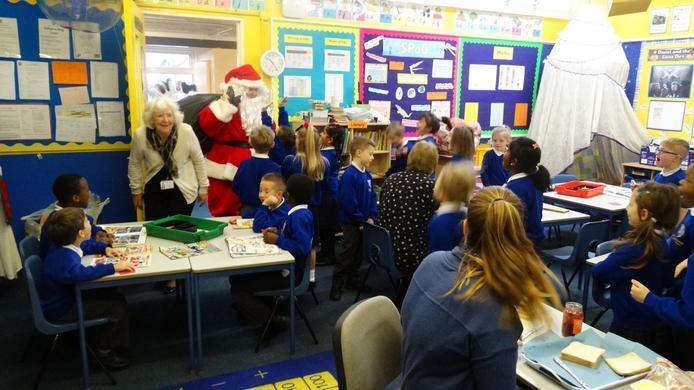 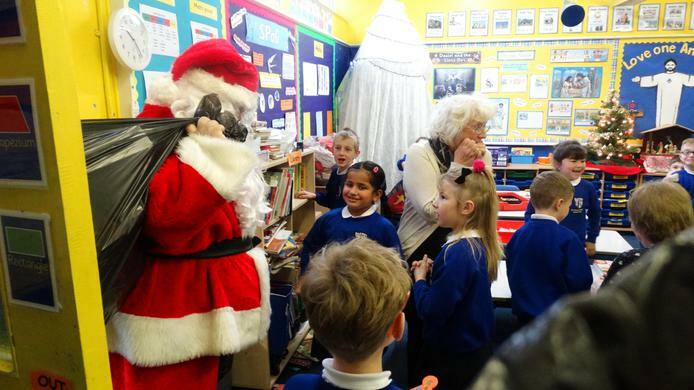 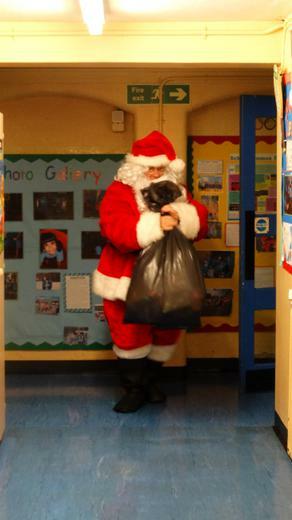 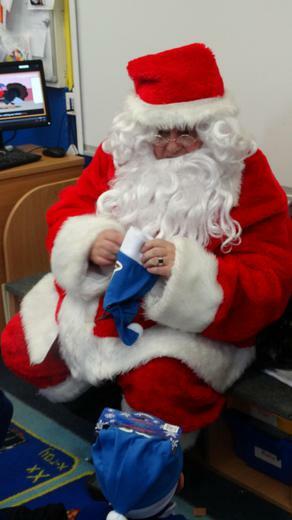 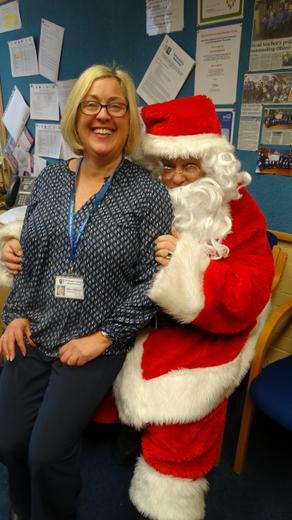 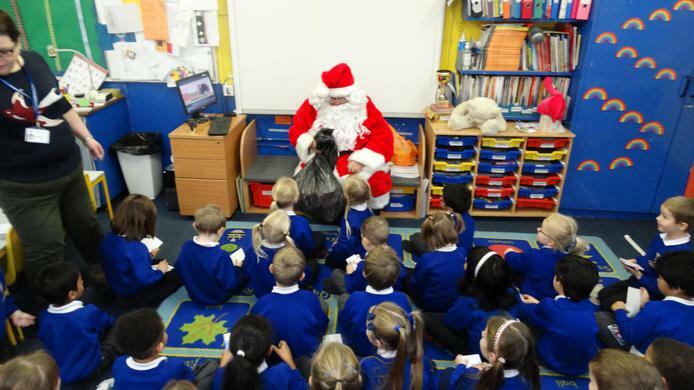 Father Christmas visits St Thomas'! 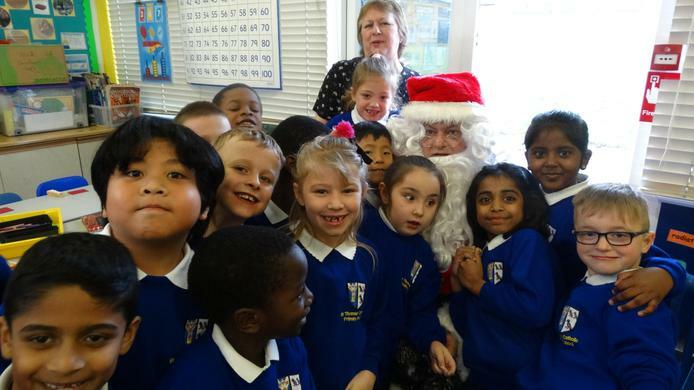 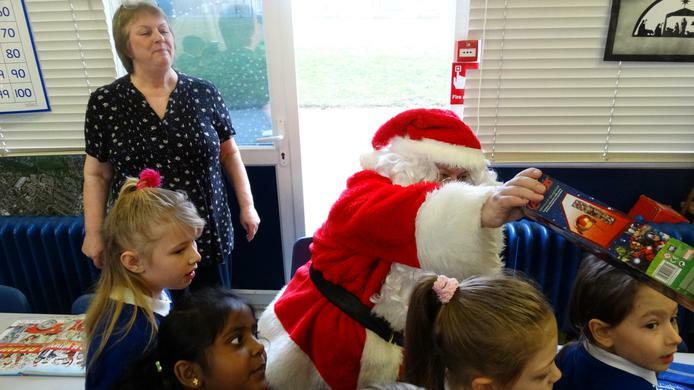 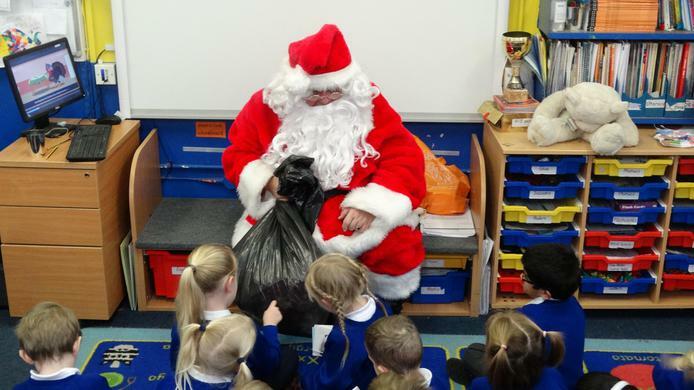 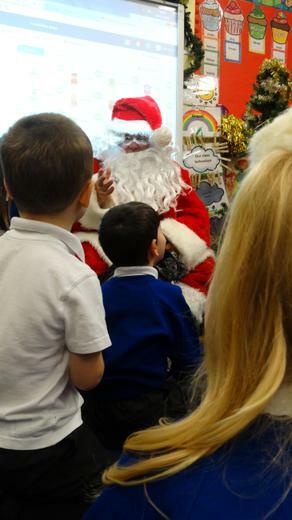 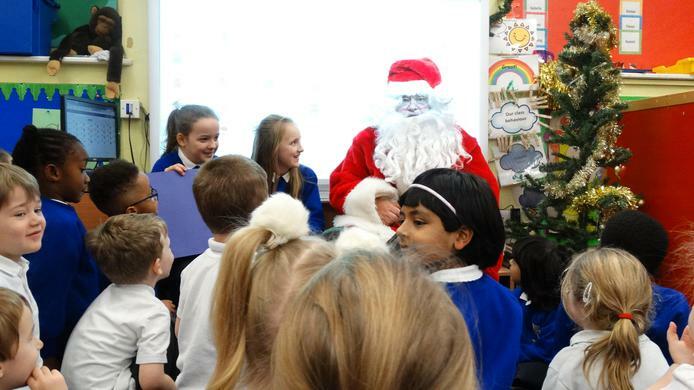 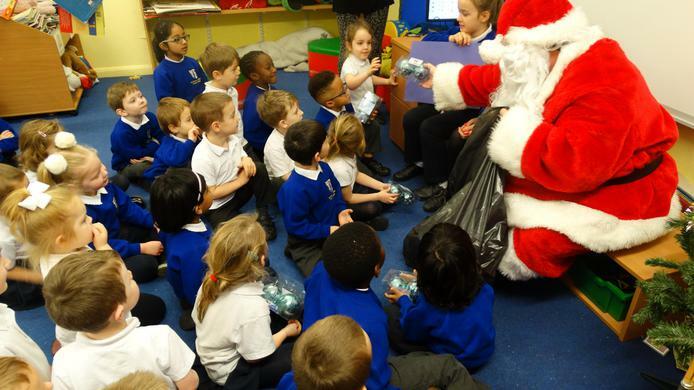 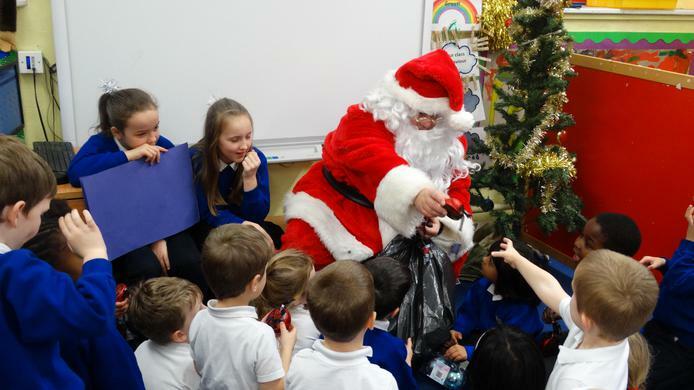 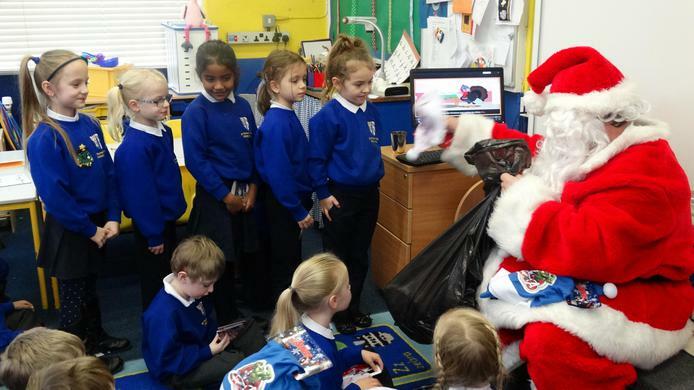 Foundation Stage, Year One and Year Two received a visit from Father Christmas on the last day of term, Tuesday 20th December. 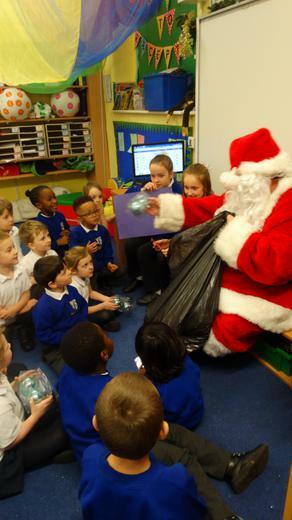 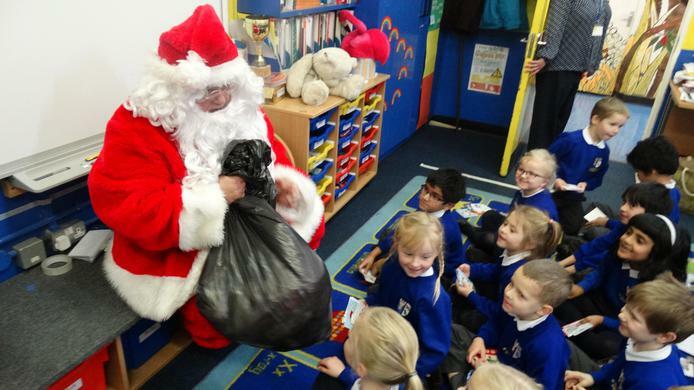 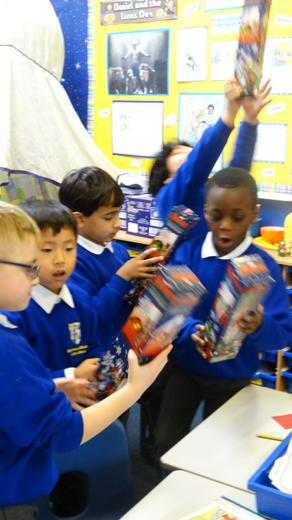 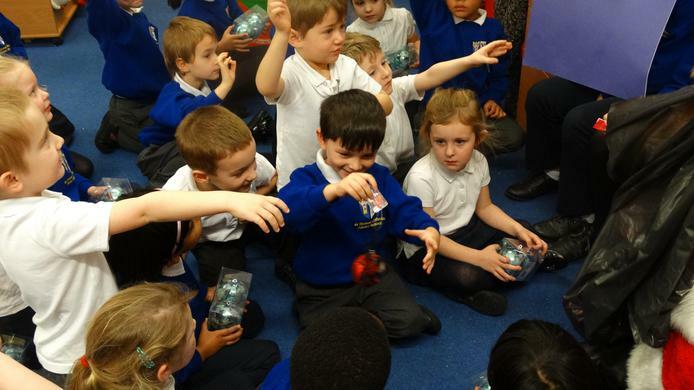 Each child was given a gift from Father Christmas. 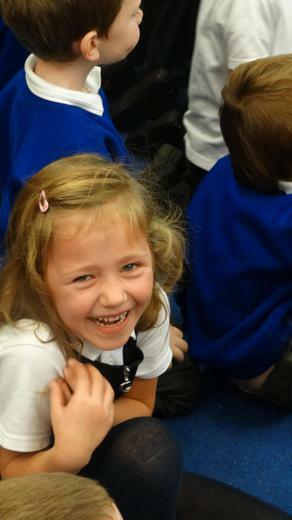 A selection of photographs are available below.